Watch Out for Page Jackers! If you got a pretty good site, which shows up on the first page of Google, you ought to be cautious about some possible threats. Hacking might be a huge issue indeed, but there is another form of threat lurking on the Internet these days. This threat is not a virus or a bug or a worm, yet it is very potent and can cause chaos for you and your adored website. Beware of Page Jacking! The attack called page jacking mainly involves copying the content on your website onto some other site, so that the user believes that the other site is your legitimate site. If proper measures are not taken to secure your content, you are bound to lose your privileged spot on the first page of the search engine. Because the page jacker uses the same keywords and the same content, with a few exceptions here and there, your page has more to lose than just the credibility. Google might start to believe that the page jacker’s site is more authentic and can red flag your own site for a short while. Your users might enter this site, thinking it to be yours and when they encounter sleazy matter and advertisements, it affects your own online reputation. 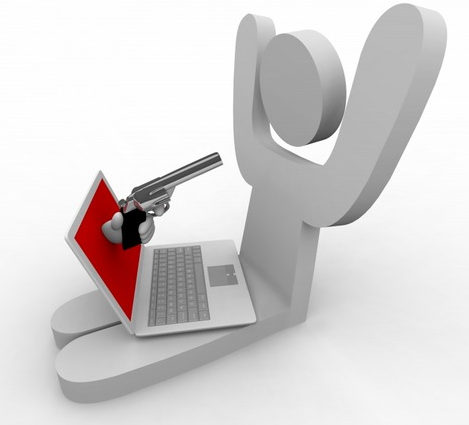 A page jacker only targets those sites which have a good flow of users. If your site has hundreds or thousands of regular visitors, your site must indeed be well-known. Therefore, the page jackers use your original content and build back links to their own site. They even put their links throughout the Internet and pass it off as your genuine site. However, only after visitors click the page jacker’s link will they realize that they have been redirected to some other site: one that usually contains ads, for which the jacker gets paid. Also, with each click from a different user, the number of genuine page views increases, which again can fetch a lot of money to the page jackers. Recently, one group of page jackers succeeded in jacking about 25 million pages. Just imagine the amount of money they must have accumulated with this uncomplicated form of fraud. No business owner or industry would approve of a page jacker. In the world of Internet and online marketing, page jackers are considered to be a threat and any act of jacking will not be tolerated by all major search engines. During the last five years, several cases of page jacking have been reported to Google and most of these issues were resolved immediately. The website and the server, on which the site was hosted, were both taken to task. There are a few free online tools, such as Copyscape and Plagium, that you can use to track down page jackers. (Editor’s note: We also recommend using a brand security service like KnowEm, for securing your online identity and reputation across the vast social media landscape.) If you own a huge website, be sure to regularly make use of these tools to track down other sites that use your content without giving you any credit. This is a violation of copyright laws and you can bring this issue to the notice of cybercrime units ASAP! About the author: Jeet is a webmaster who believes in creating unique and useful content. He currently operates a link building services company from Mumbai, India. I actually had this happen to me about 8 years ago, every bit of copy from this site http://www.indigoimage.com/count/ was stolen. Not good but I did get the situation rectified. Ever heard of testimonial jacking? I recently discovered a whopping 22 companies had stolen testimonials from my site I outed them all on my wall of shame! Wow! That must be one heck of a rude awakening. This is one- if not the very main reason- why every decent website should have an online reputation management system to safeguard your site’s content from potential fraud and scam. I think that’s the reason why so many website owners “patent”(I don’t know if that’s the correct term) their site’s content to discourage those who would want to plagiarize its content. So, yes, long story short, online reputation management is the way to go. Yep I have had my website hacked twice and it is NO FUN! I even called the police to make a police report after it happened twice. I gave them the IP supplied by my host that had logged into my CPanel last. But there was nothing we could do. It’s a cruel, cruel, world! I’m not very good in this domain. I do not own a website, but I understand the gravity of page jacking. Those who do this are just stupid people who are not able to create their own content. Shame on them! I’ve seen sites where you cannot copy their content or download the photos posted on their site. I think web owners should know how to do this to prevent others from stealing their content. There should be a law that will stop page jackers from copying the content of other sites. It will be unfair for bloggers or site owners if there are people who will just steal their content after they put an effort in coming up with that idea.